Hey everyone! 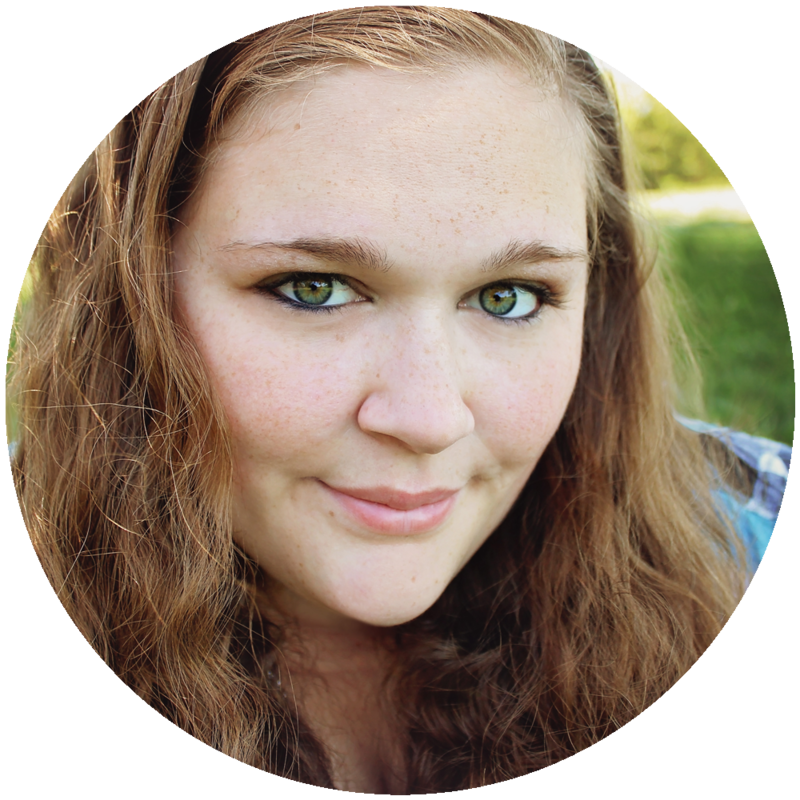 I am back again today guest designing over on the Brutus Monroe blog. I took a break from Christmas cards today and made a colorful birthday shaker card. I started out by stamping a bear from the Birthday Bears stamp set by Brutus Monroe on some Bristol Smooth paper with Raven detail ink. I used Aqua Pigment paints to color in the bear. I mixed together the Yellow and the Brown paint colors in order to get the color for the fur. I also used the colors Green, Red, and Orange for the cupcake and hat. Finally, I watered down some Pink to add some blush to the cheeks. Once the paint was dry I fussy cut the bear out. Next I taped down some Canson watercolor paper to a board. I taped the paper to a board so that it doesn’t warp as much when I paint. 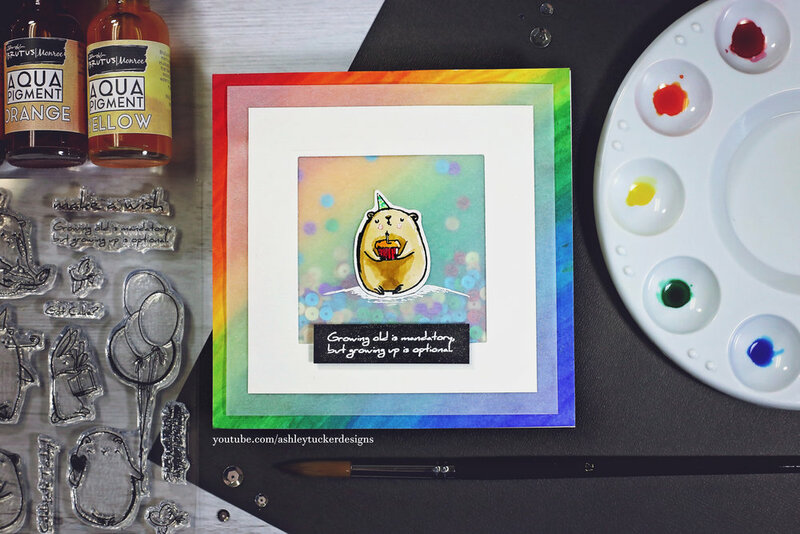 I wanted to create a rainbow background for my card. I used the colors Red, Orange, Yellow, Green, Turquoise, and Blue Violet. 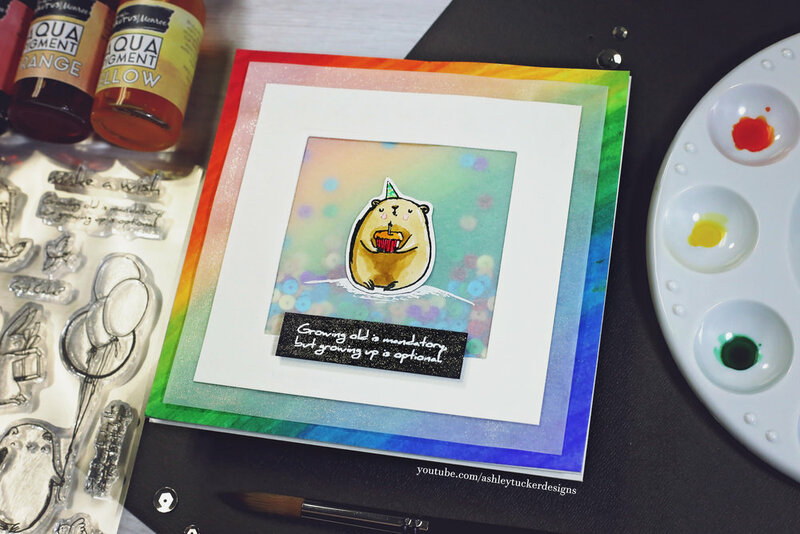 I adhered the rainbow background to a card base. I created a square frame out of some watercolor paper using a square die. I used watercolor paper due to the size, all of my other white cardstock is already pre-cut. I glued the frame to a piece of vellum cut to be slightly larger than the frame. I picked out a rainbow mixture of sequins and place them in the middle of the card base. I added foam tape behind my frame and placed if on the base over the sequins to make my shaker. I took the little bear that I had fussy cut and glued him to the vellum window of my shaker. I created a sentiment strip by stamping one of the stamps from the Birthday Bears stamp set onto some Licorice Twist cardstock with Versamark ink. I embossed it with Alabaster embossing powder. I popped that strip up under the bear on my card. For the finishing touches I used my white gel pen and my Wink of Stella glitter brush. I used the gel pen to draw a drop shadow under the bear to ground him. I also added some highlights and details to the bear. I used the glitter brush on the sentiment strip and also on the vellum border around the frame. 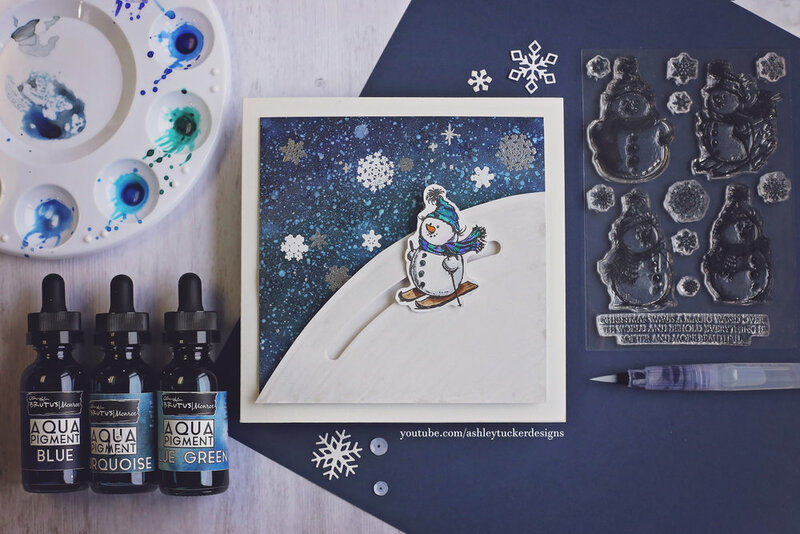 Today I created a snowy shaker scene using products from Mama Elephant and Lawn Fawn. I started out with a piece of Canson watercolor paper taped down to a board. I added a few masks which I cut with scissors to be hill shaped. Next I used Distress Oxide inks to blend a sky. I used the colors Tumbled Glass, Faded Jeans, and Black Soot. I removed the masks one at a time and shaded my snowy hills with the two blue Distress Oxide inks from the sky. 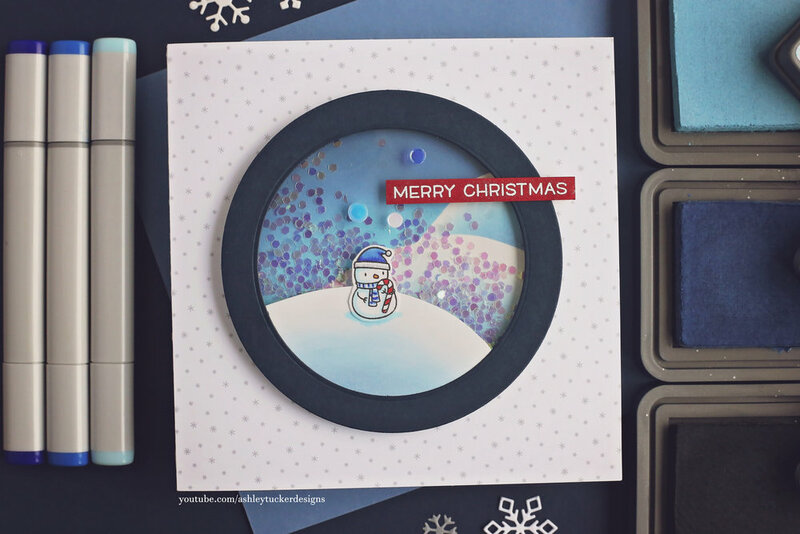 I used a circle die to cut the background I created with my Big Shot. I went around the outside edge of that circle with doubled up foam tape to start creating my shaker. I filled up the shaker area with large clear glitter. Next I used a circle of acetate to close up the shaker. I took a piece of Bristol Smooth paper and cut a hill shape out of it. I blended a shadow on that using the same Distress Oxide inks that I used on the hills inside of my shaker. Using my Gina K Connect glue I adhered that hill to the outside of the shaker. Next I glued down a frame that I made with two circle dies out of Gina K In the Navy cardstock. The frame hides that foam tape that could be seen through the acetate. 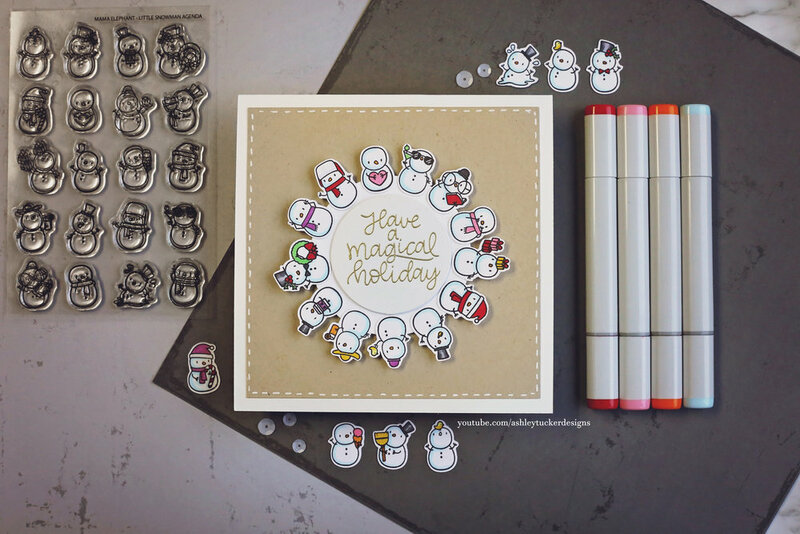 I used Copics to color in a snowman from Mama Elephant’s Little Snowman Agenda stamp set and added him to the scene. I created a 6 x 6 card base a glued a piece of Lawn Fawn patterned paper to the front. The patterned paper was from the Lawn Fawn Really Rainbow Christmas paper pad. I glued down my shaker to the middle of the card base. For the sentiment I picked out a stamp from the Lawn Fawn Holiday Helpers stamp set. I embossed that with a white embossing powder and Gina K Cherry Red card stock. I glued the sentiment strip onto my card so that it hangs off the side of the shaker area just a smidge. For the finishing touches on the card I added Wink of Stella glitter to the sentiment strip and a few sequins to the shaker window. I started out by stamping all of the snowmen in the stamp set. I stamped them with my MISTI onto Neehnah Solar White 110lb card stock with Simon Says Stamp intense black ink. Next I colored them all in using my Copic markers. Once they were all colored in I cut them out with my new Scan N Cut 2, which I got from my husband for our anniversary! Check out the video to see all of the coloring and for a fun announcement! I die cut a circle out of Neenah Solar White and put it in my MISTI to stamp a sentiment. I chose a sentiment which says “Have a Magical Holiday” which is from another Mama Elephant stamp set that recently came out. I am going to try explaining how the spinning element was created, but the best way to understand is to see the video. First I cut a piece of Desert Storm card stock to 5.5 by 5.5. Using two different sizes of circle dies I created some rings out of white card stock. I made two small rings and one large one. I used the inner circle of one of the rings as a guide to lay down a ring of doubled up foam tape on the middle of my Desert Storm card stock. I then placed the two smaller rings around the tape and then the larger one. The smaller rings keep the larger from laying completely flat against the Desert Storm card stock. I then adhered my circular sentiment piece to the foam tape, locking in the three rings. I used Gina K Connect glue to glue snowmen all the way around the large ring. This ring spins around making the snowmen go around the sentiment. I glued my Desert Storm panel to a 6 by 6 white card base. The last thing I did was go around the border of the Desert Storm panel with a white gel pen doing some dashed lines.